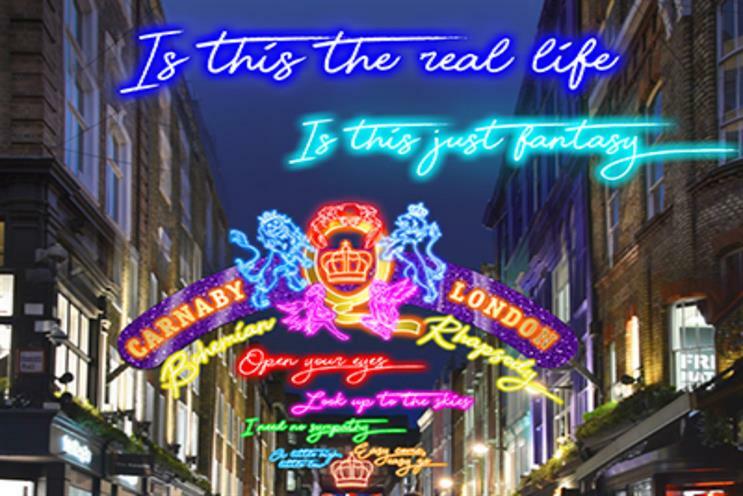 The film studio is staging an immersive exhibition with London's Carnaby Street, which will see Queen's prominent crest feature upon the famous Carnaby arch. The exhibition ties in with the October release of the movie Bohemian Rhapsody, a biographical film about British rock band Queen and the legendary Freddie Mercury. Freddie Mercury’s iconic lyrics are also being displayed in dazzling neon lights. In addition to this, Carnaby stores, bars and restaurants will be hosting a range of Queen-inspired products, menus and special offers. The free-to-enter pop-up shop and exhibition will open at 3 Carnaby Street opening on 18 October. Visitors can enjoy the ultimate Queen experience, with a showcase of photographs, prints, exclusive footage and show-stopping costumes and the chance to buy official film merchandise.